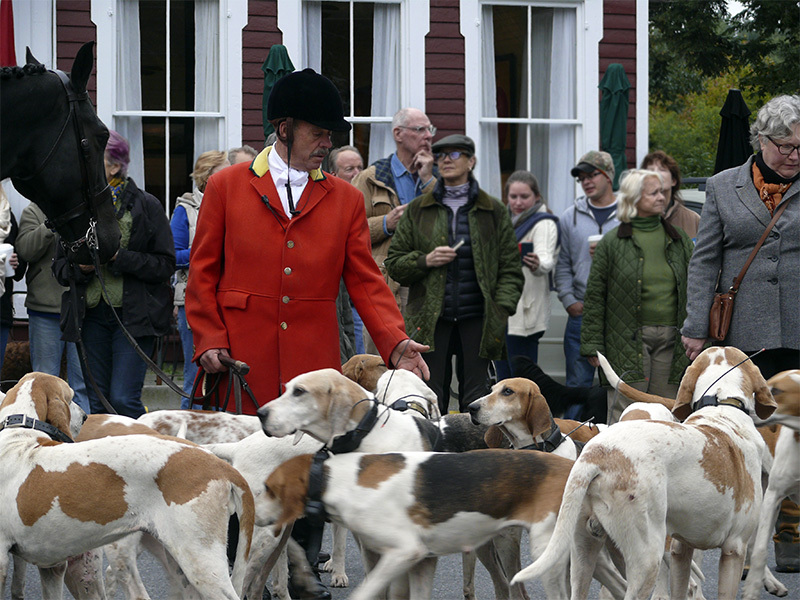 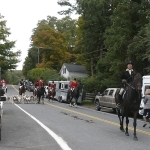 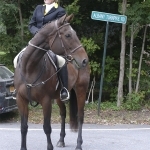 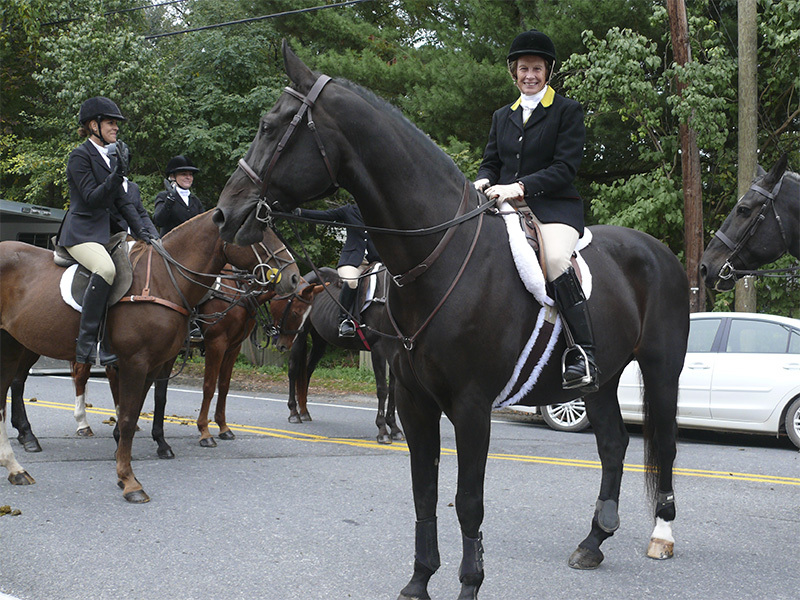 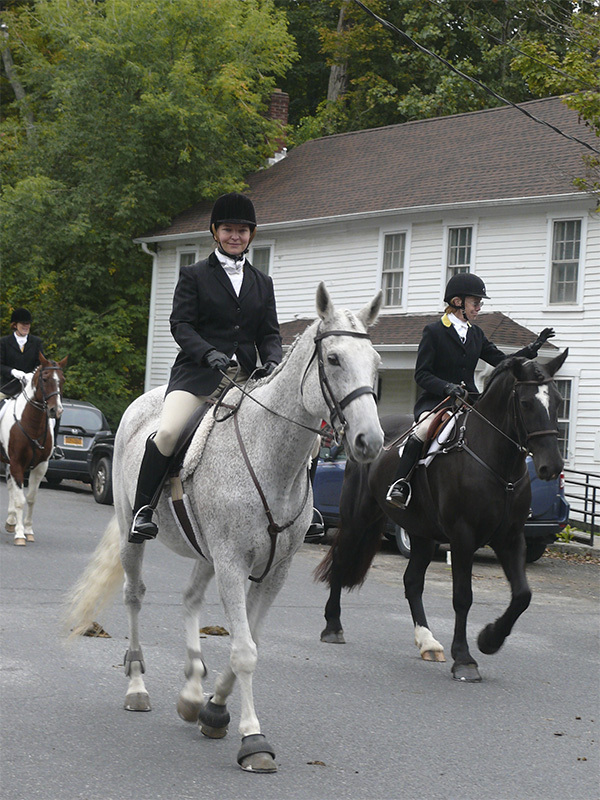 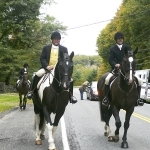 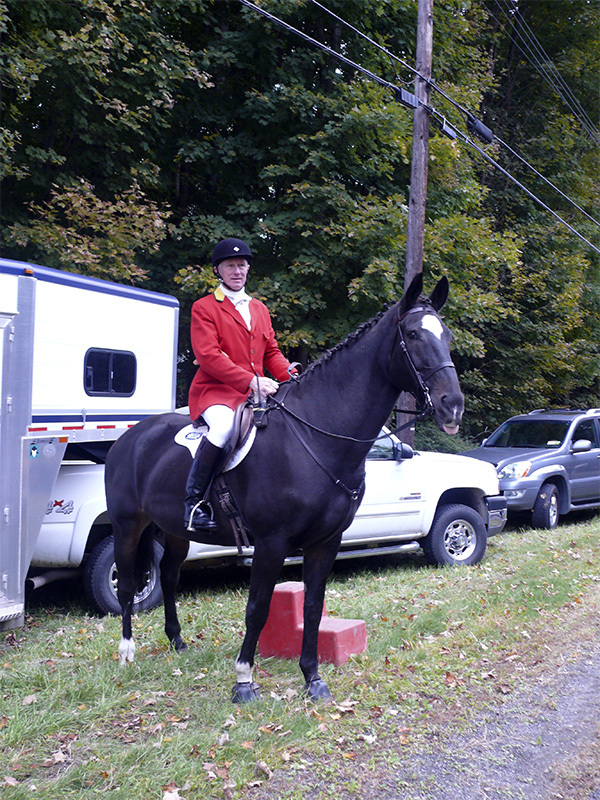 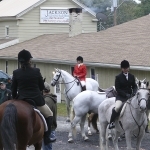 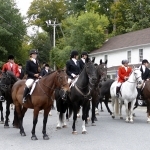 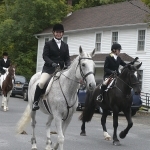 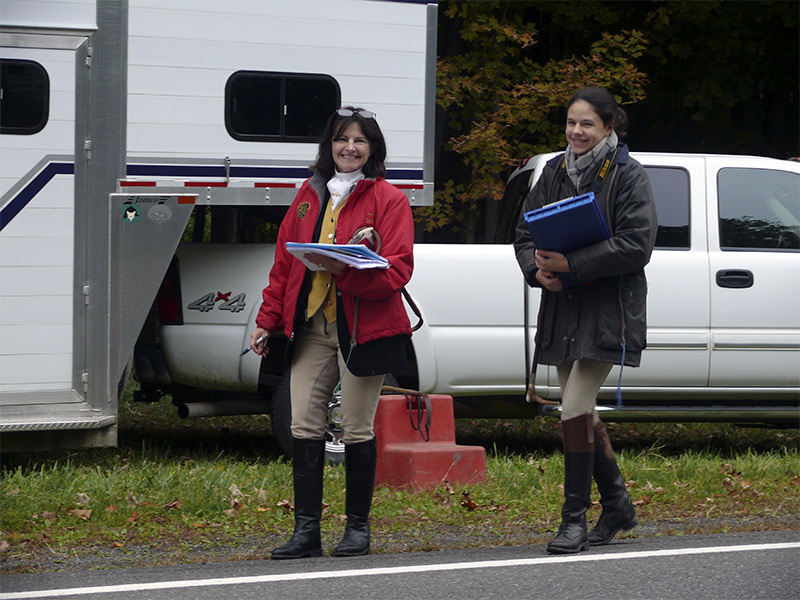 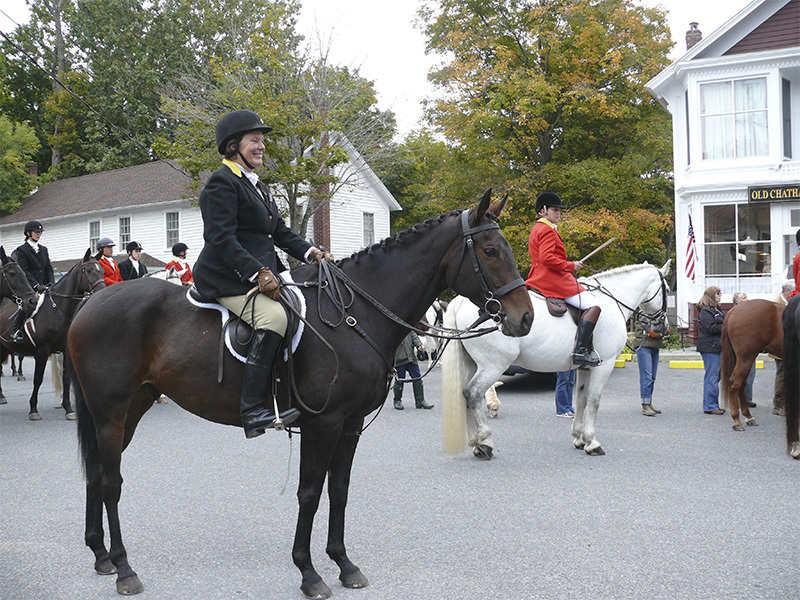 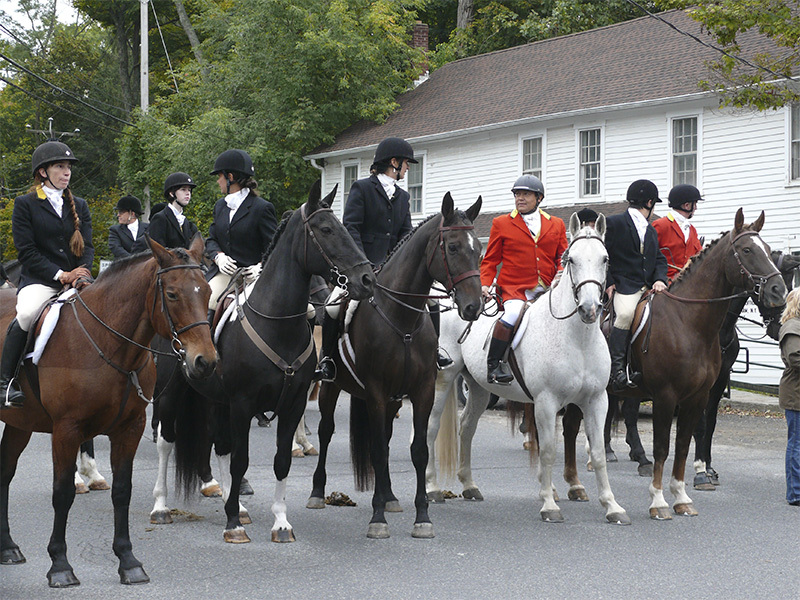 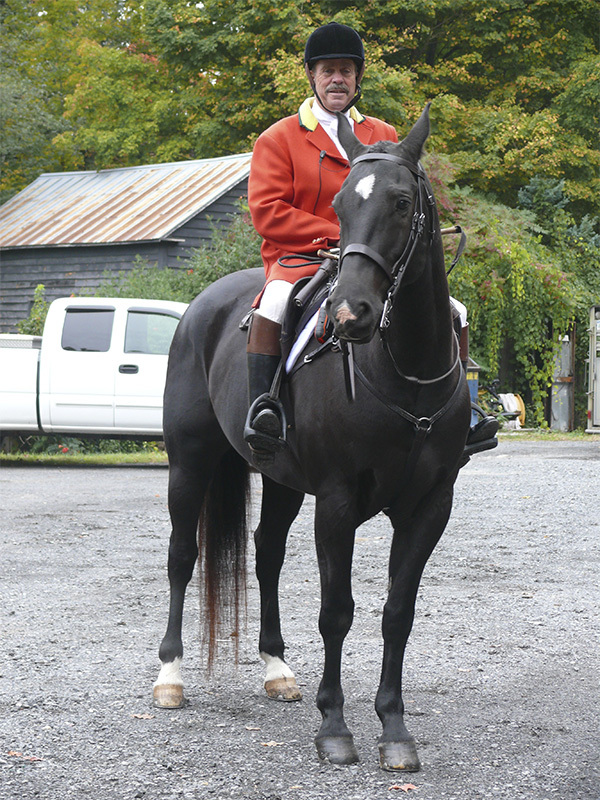 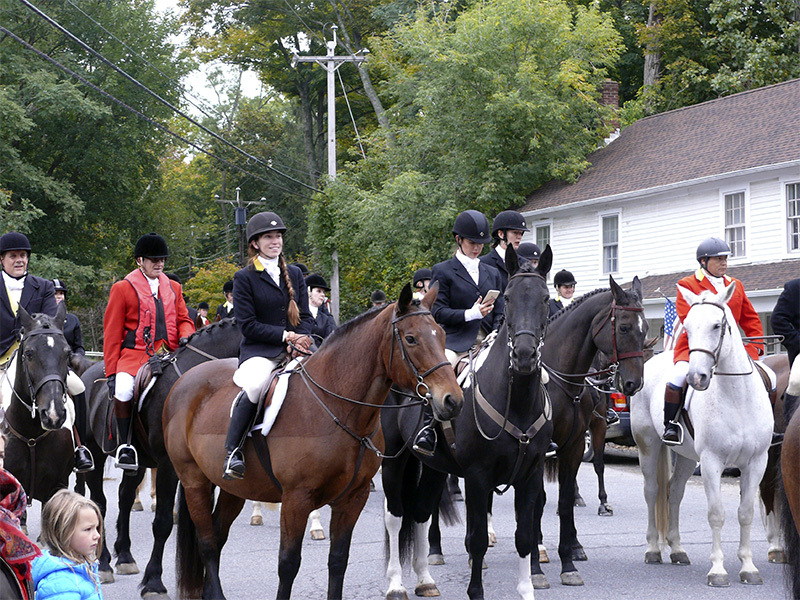 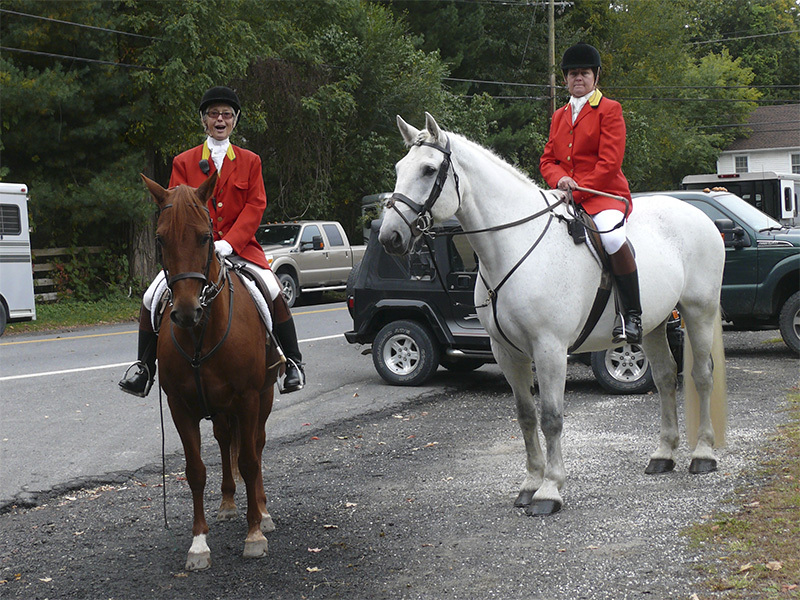 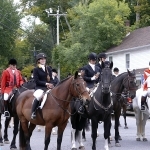 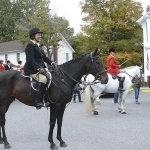 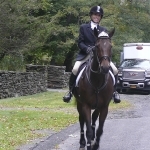 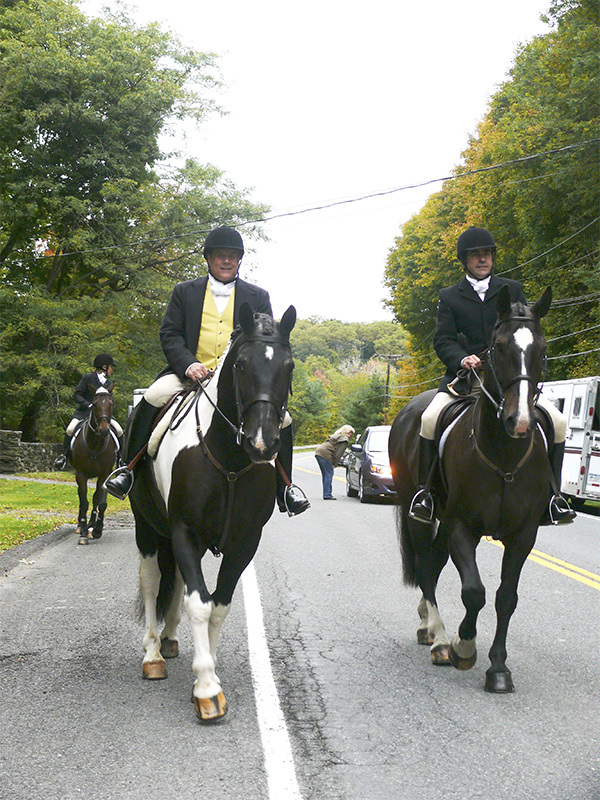 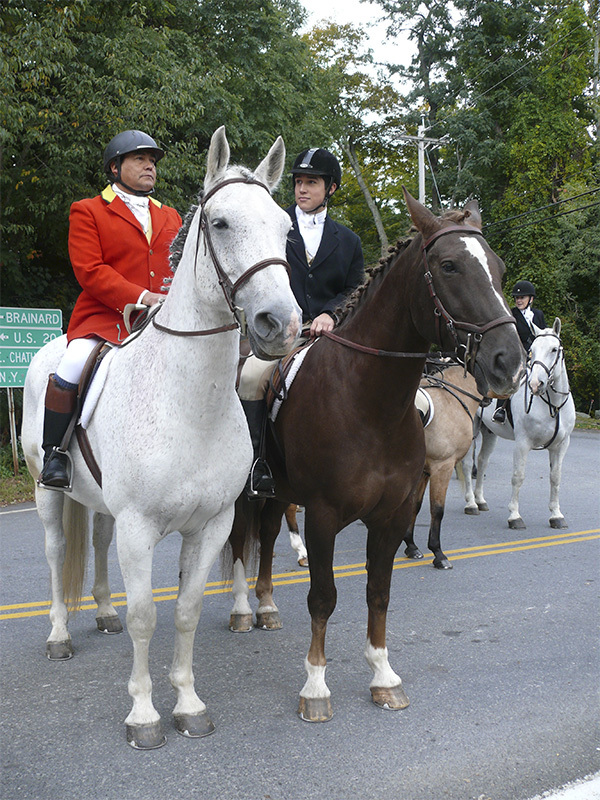 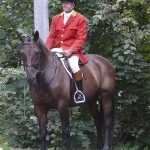 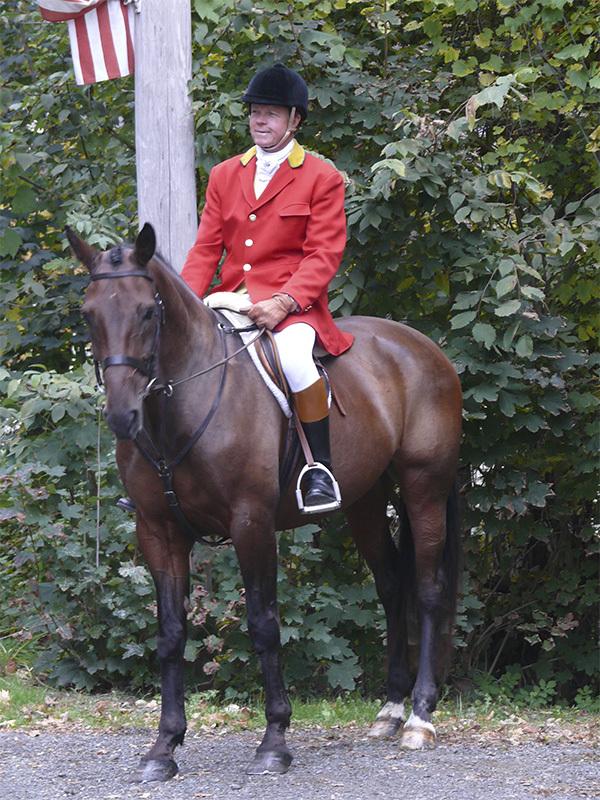 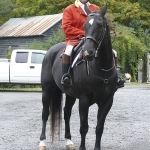 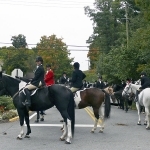 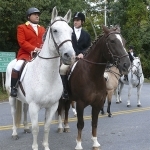 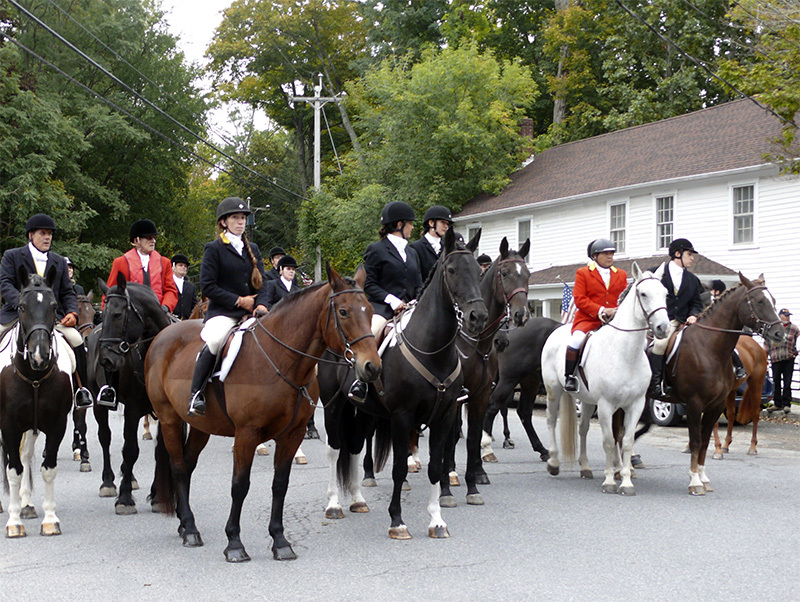 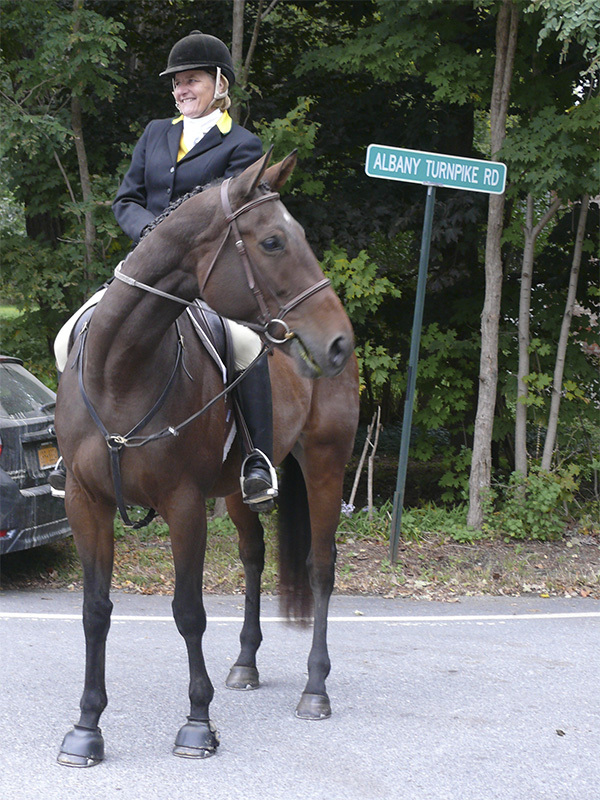 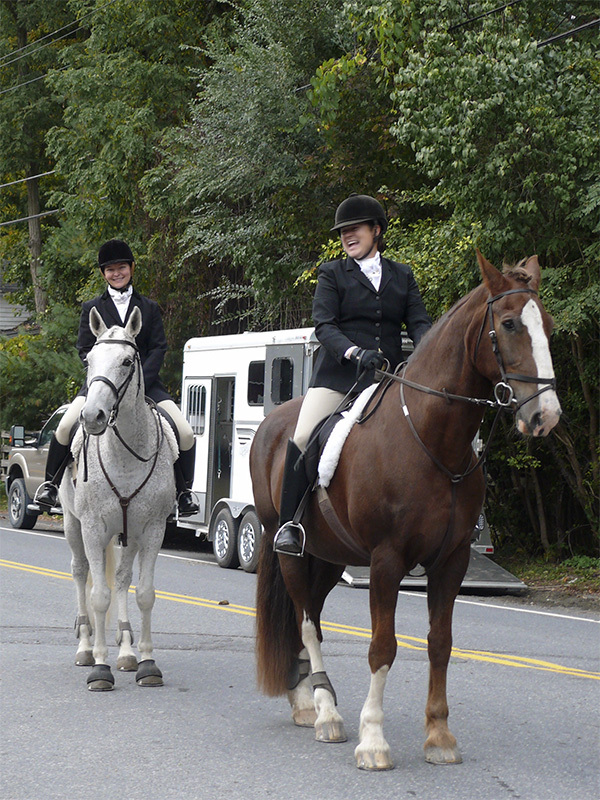 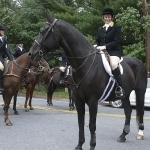 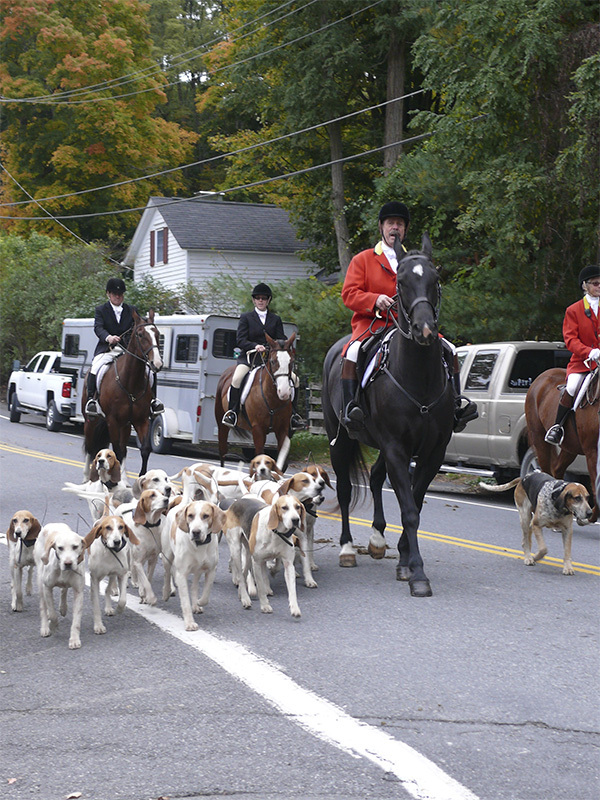 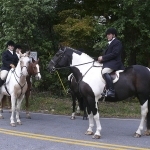 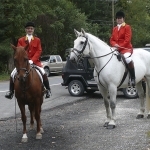 Opening Meet, Old Chatham Hunt Club, October 3, 2015. 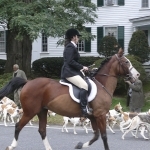 Often on Opening Meet with the fields swollen in ranks by cappers and every member out, braided, shined to a mirror polish, blessed, starting the meet a bit later to accommodate all the aforementioned, the hunting might be subpar. 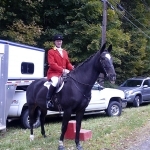 Not so for OCH this past Saturday. 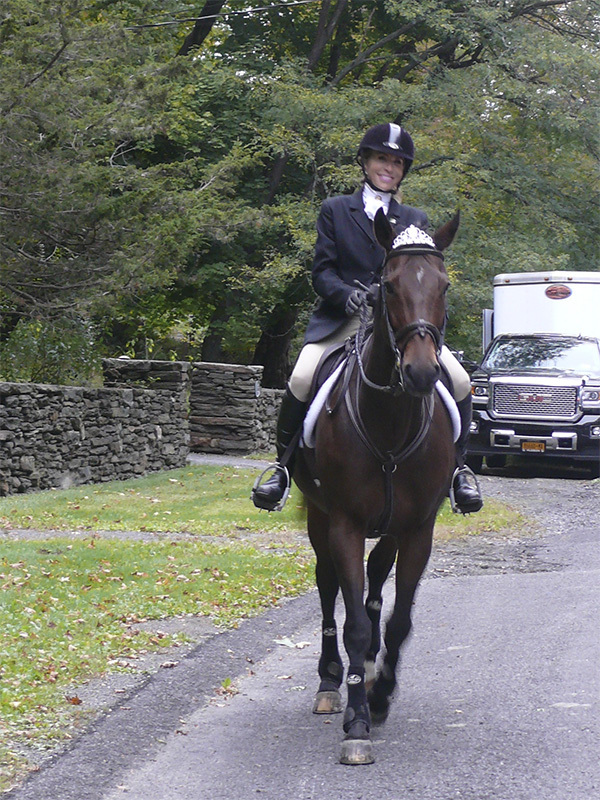 With Joaquin held up in the mid-Atlantic states, our day was overcast with intermittent sprinkles but no real rain. 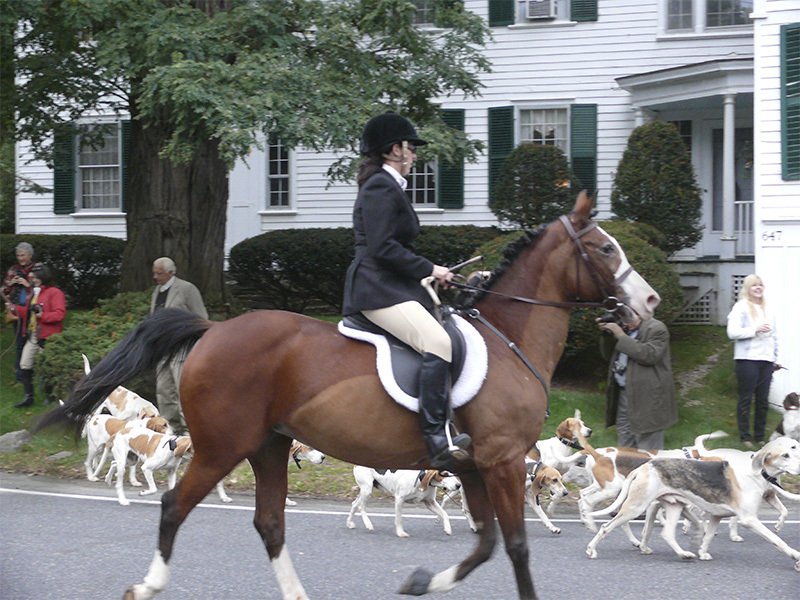 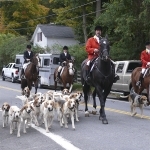 After a blessing by Jerry Bilinski, DVM, huntsman, Thomas Hopkins, carried the hounds north from the village, around the Shaker Museum, through the Old Chatham Sheepherding Company and caste hounds southward in Wiggy’s Woods. 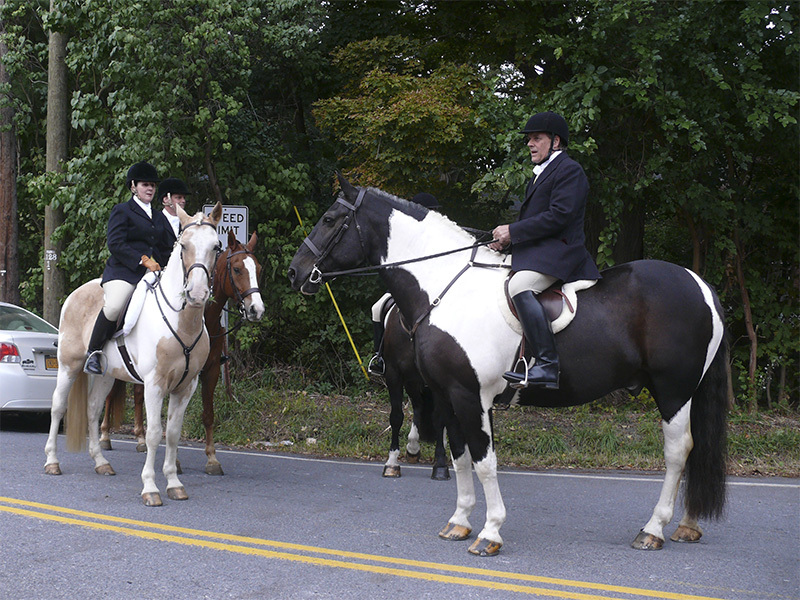 When nearly to county road voices were heard along a large swamp that lies there, all on and open, hounds ran circling westward in swamp and then due eastward to pastureland, back to the swamp and north back to Wiggy’s Woods, around again, back to first swamp, and again north some ways east of original caste, to high pasture above OldChatham Sheepherding behind their barns where huntsman held up and gathered hounds. 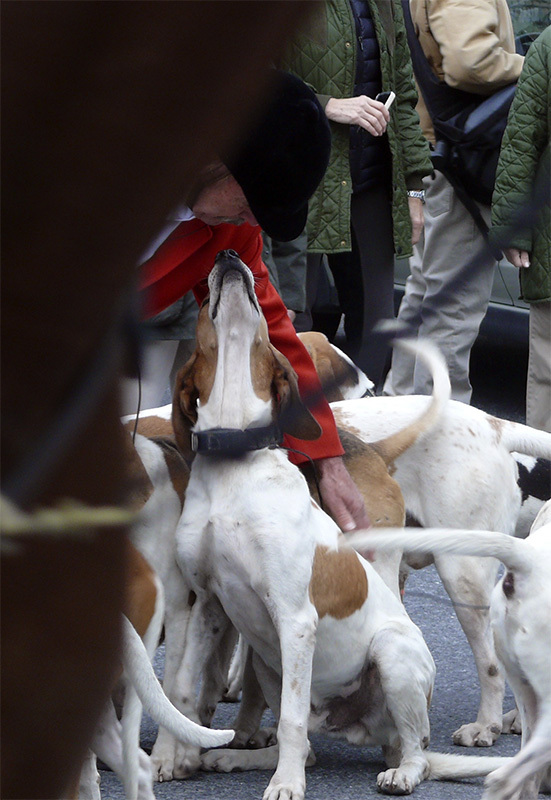 Wonderful picture here by Miranda Bradley who captured our pilot heading further north. 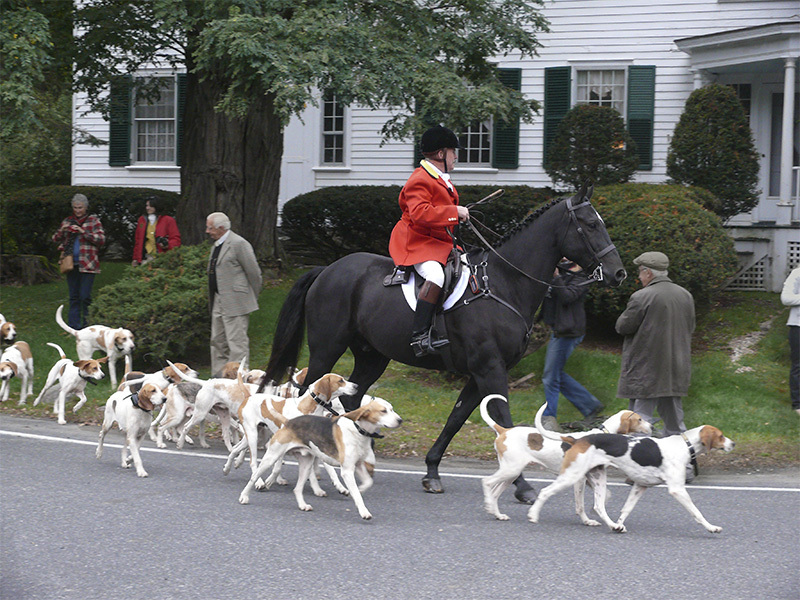 Hounds were carried back south across the county road into old apple orchard where the was another chase, hounds running south, southeast then turning north and loosing in thick growth. 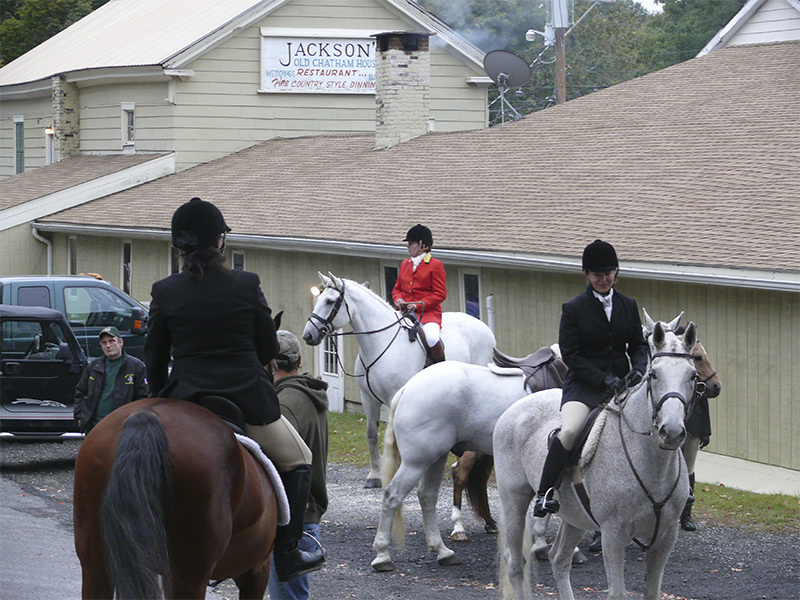 After drawing either side of old Rutland Railroad bed with no new opportunities arising and Jackson’s Old Chatham House awaiting our return for breakfast, it was called a day. 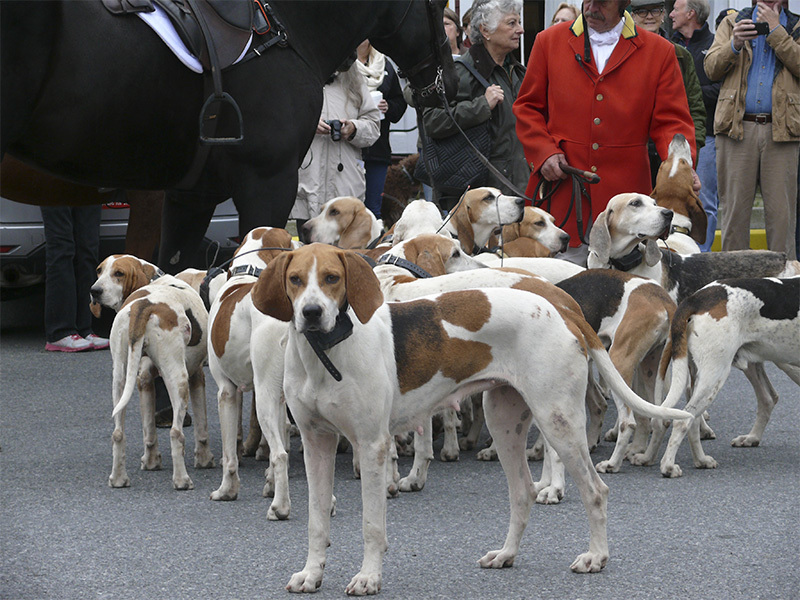 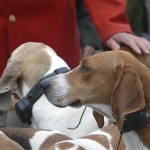 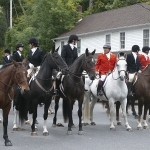 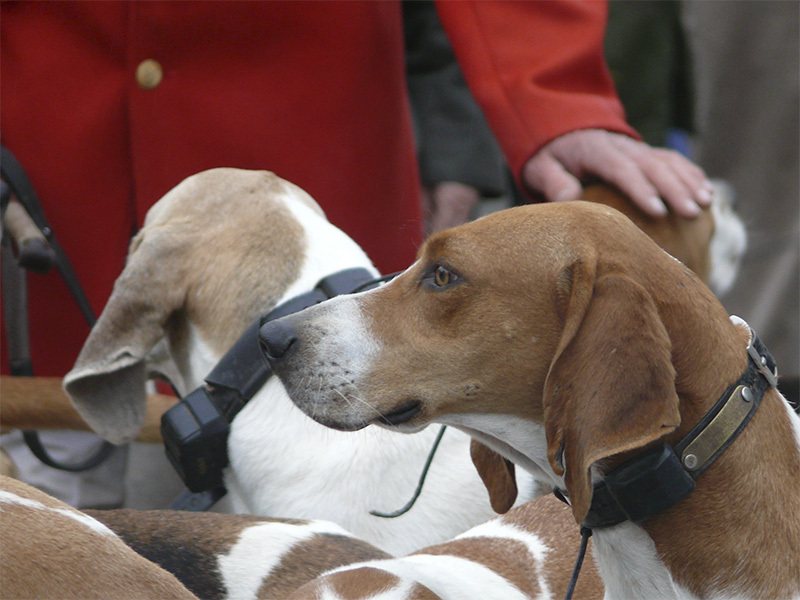 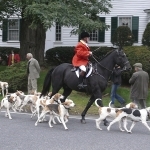 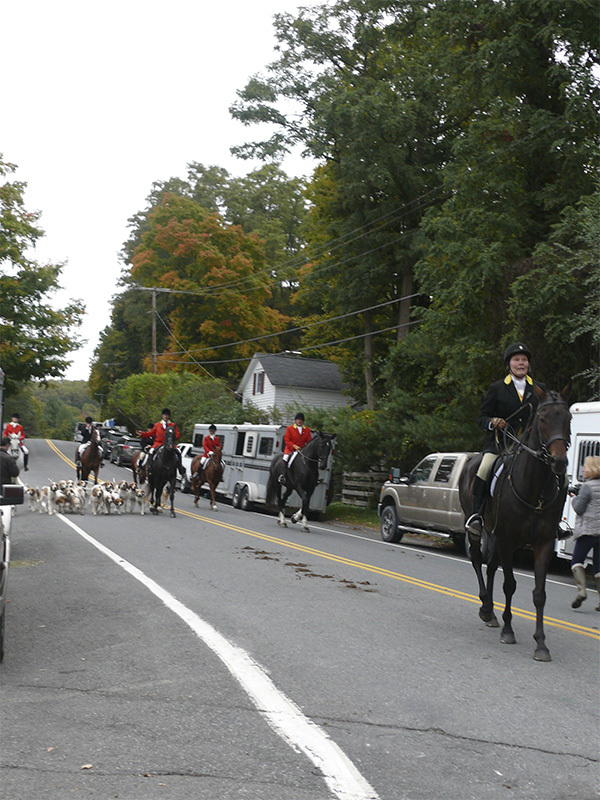 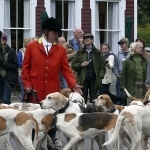 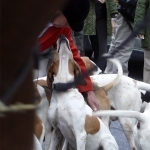 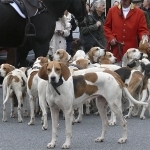 Thanks to Gail Day for a vivid report on our 2015 Opening Day of Foxhunting. 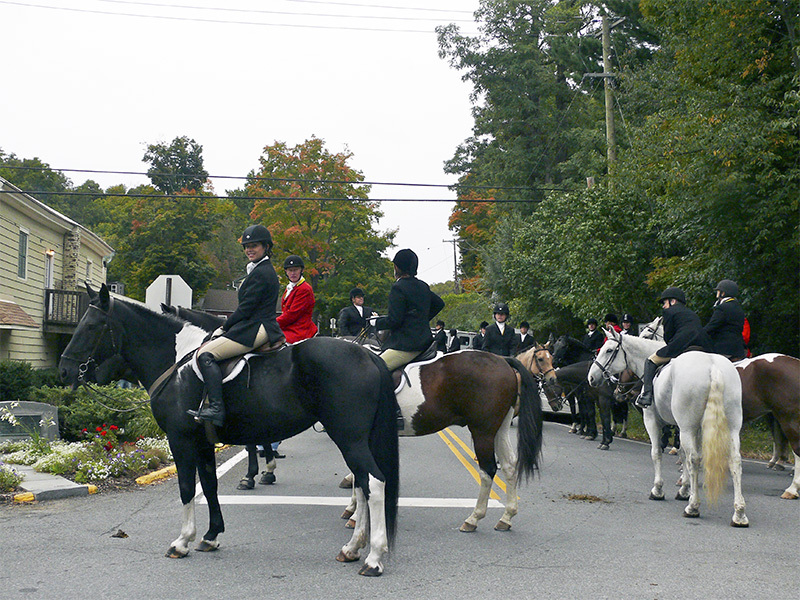 We had several photographers milling around. 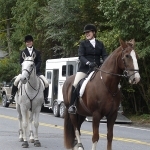 Submit photos to Cheryl for inclusion on this page.